Inspired by Grandma Tank this was an incredibly simple side. The aromas are intoxicating and transport you instantly to some place far more exotic. Transforming the humble cabbage into something fit for company. Serve along side any protein for a wonderful complete meal. Add EVOO to a large skillet over medium heat. 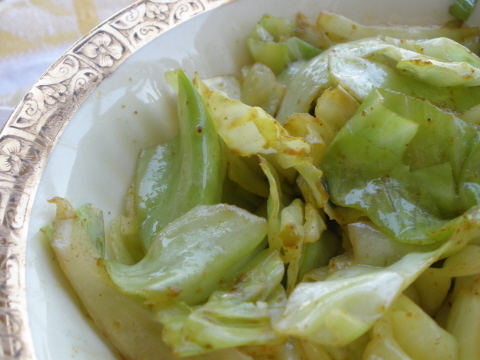 Once hot, add cabbage and stir occasionally until wilted, and tender. Stir in green onion curry powder and butter until well combined. Serve immediately.